Then make haste and bake pale lupins and windy beans.Of these take six pounds each and grind the whole in the mill. 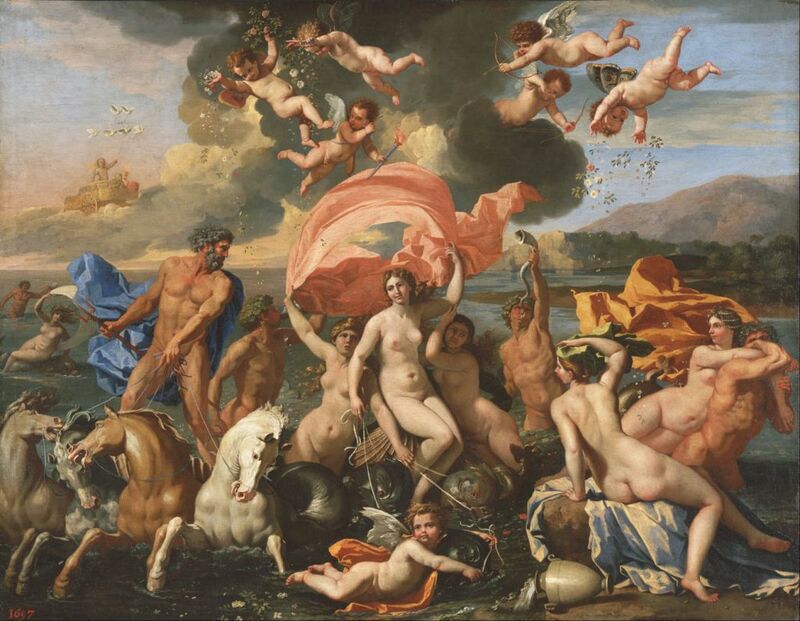 Addthereto white lead and the scum of ruddy nitre and Illyrian iris, whichmust be kneaded by young and sturdy arms. And when they are dulybruised, an ounce should be the proper weight. If you add the glutinousmatter wherewith the Halcyon cements its nest, you will have a certaincure for spots and pimples. As for the dose, one ounce applied in twoequal portions is what I prescribe. To bind the mixture and to make iteasy of application, add some honey from the honeycombs of Attica. That pesky lead. Unfortunately, it was a main additive to cosmetics for centuries. Romans used it in many things, including as a sweetener for wine, which is considered by some to be the cause of dementia that affected many Roman emperors. Wonder what the poppies did? I also wonder why Ovid decided to concern himself so much with beauty concoctions that he would write a book for the ladies to use. Perhaps he was a little bit entrepreneurial? Or just looking for love? 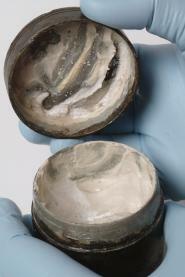 In 2003 archaeologists found Roman face cream at a site near London. They were able to recreate the cream which apparently gives women a white, smooth, powdery texture to their skin. It was a mixture of animal fat, lead and resins, probably similar to what Ovid describes above!